Vikings Sign Coach Jesse Alderfer as Defensive Coordinator. 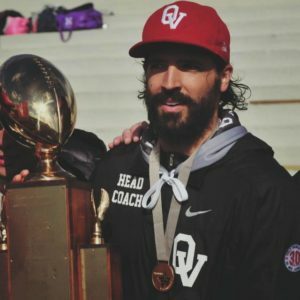 Former Oslo Vikings Head coach and defensive coordinator Jesse Alderfer is back to lead the defensive for the 2019 season. 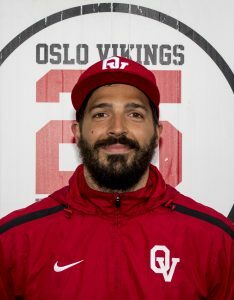 The Oslo Vikings are very happy to announce that coach Alderfer will be back with the club for the 2019 season. After taking a few years off from coaching, he will return as the clubs senior Elite team defensive coordinator. 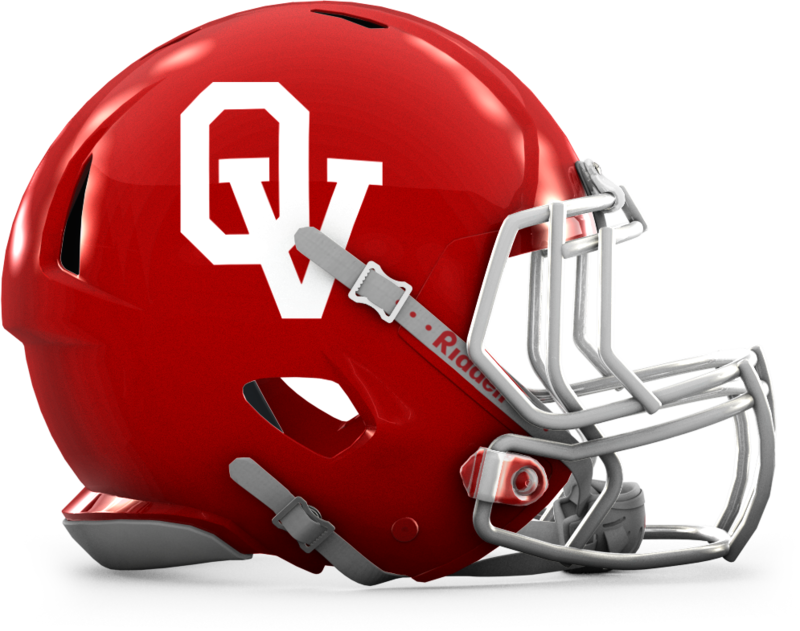 Coach Alderfer has been a long time member of the Oslo Vikings with both a playing and coaching background. Jesse was named 2015 and 2016 all-star coach of the year for the Norwegian Elite series in his two years as head coach for the Vikings. Coach Alderfer`s last season coaching with the Vikings was 2016. He went on to lead the senior Elite program as head coach to the clubs first championship since 2012. 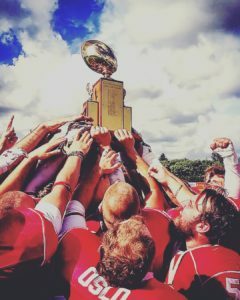 We had a chance to catch up with coach Alderfer and ask him some questions leading up to the 2019 season. First off, congratulations on your signing for the 2019 season. How does it feel to get back in a coaching position with the Oslo Vikings? Thanks! It feels good to be back in the role of coaching and teaching this game. I look forward to getting back at it! Your last year of coaching was the 2016 season where you went on to win the National Championship with the Vikings. What have you been up to since then? The past 2 years I have been fortunate to spend a lot of time with family and friends. For some of the people who may not know you, can you give a brief background of your playing and coaching days? I have played a few seasons with the Oslo Vikings from 2009 till 2012. During that time I assisted with the Vikings youth teams (U14 to U19). In 2013 I became the Head Coach of the Vikings U13 team. In 2014 I continued as Head Coach and took on the role as Defensive Coordinator of the Vikings Senior team. The following year I became Head Coach of the senior team. What were some of the main factors that brought you back to the club in a coaching role? I have always felt a part of this club but wasn’t sure when I would return. But when I was offered this opportunity it felt like the right time to return. What has been the biggest thing you have missed about coaching while you have taken some time away from the game? The time at practice with the coaches and players. All the time of preparing and constantly working to be the best possible players and coaches is something I have missed. Coach Alderfer breaking down the team post practice in 2016. What are your expectations for the defense and the team for the 2019 season? The expectations are always high here. I really just want us to enjoy the process and enjoy the grind. If we can be focused on whats best for this team week by week our expectations will be filled.